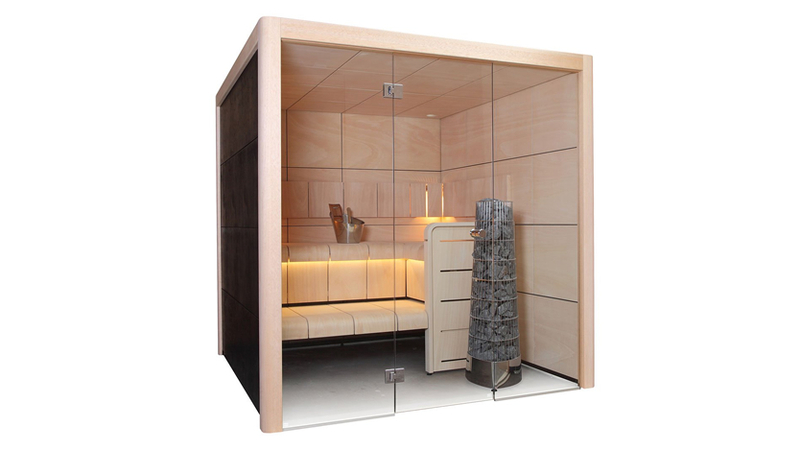 So, you’re looking for a wood burning sauna heater and wondering which one is right for you? Aqualine are here to help. Our friendly and experienced team can talk you through our extensive range of Harvia sauna heaters and stoves to find you the perfect match. Here’s a few of our more unusual wood burning sauna heaters that warrant a proper explanation. Harvia ‘Duo’ heaters are more than just a sauna heater; they also double up as a fireplace in the next room! Harvia Duo sauna heaters feature an elongated 130mm aperture designed to allow the front of the sauna to pass through an internal wall. This means the sauna heater and stones can be heating up the sauna, meanwhile, you can be relaxing in the warm glow of the fireplace in the room next door before or after you use the sauna. 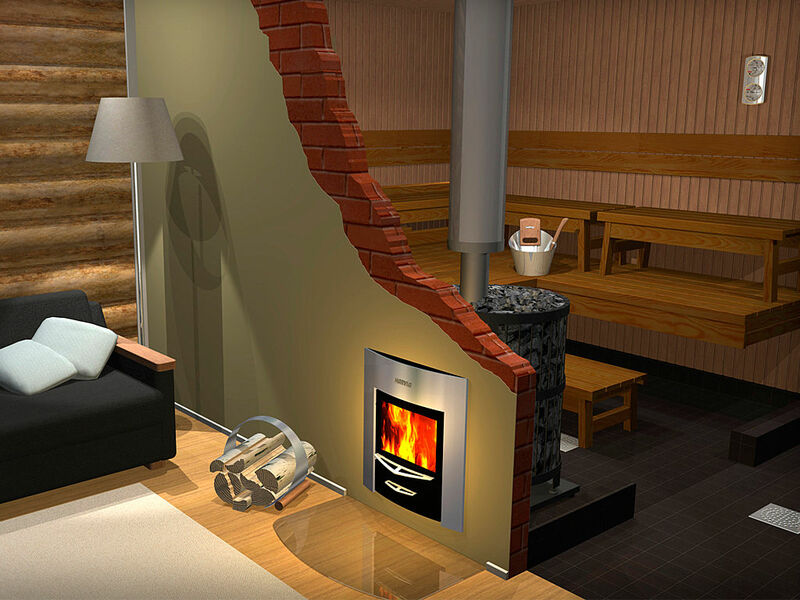 This may be useful in a cabin sauna if you want to have an outdoor seating area with a warm fireplace for those cool summer nights, or you may wish to have the sauna fireplace facing onto a changing area or relax room in another part of your summer house. Perhaps at home, you’ve always wanted a traditional wood burning sauna and a wood burning stove for the family room, but couldn’t justify having both? Now you can, with Harvia ‘Duo’. Some Harvia heaters such as the ES Pro, Premium VS and the Pro S are fitted with an internal 20-litre water tank, this means that while you are heating up the sauna stones you can also be preparing hot water at the same time for cooking or drinks. After all, what could be better than a cup of tea, coffee or herbal blend after a sauna? 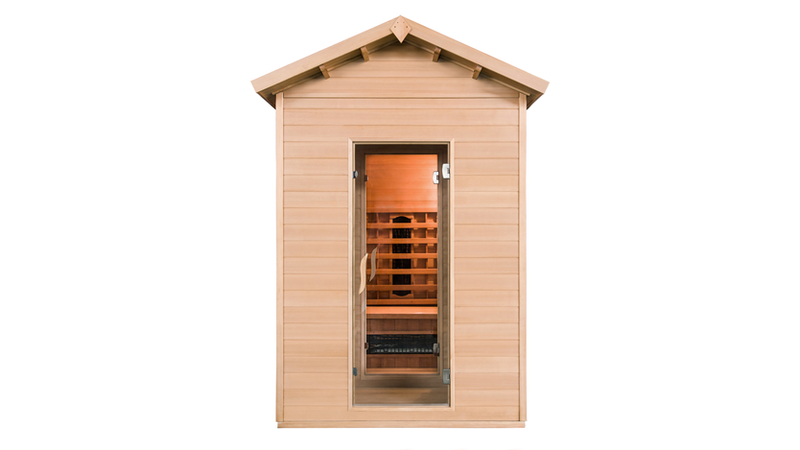 Perhaps you have a summer house or cabin which doesn’t have easy access to other forms of hot water heating, this could be a great way to make the most of the energy produced by the sauna on those cold winter days. 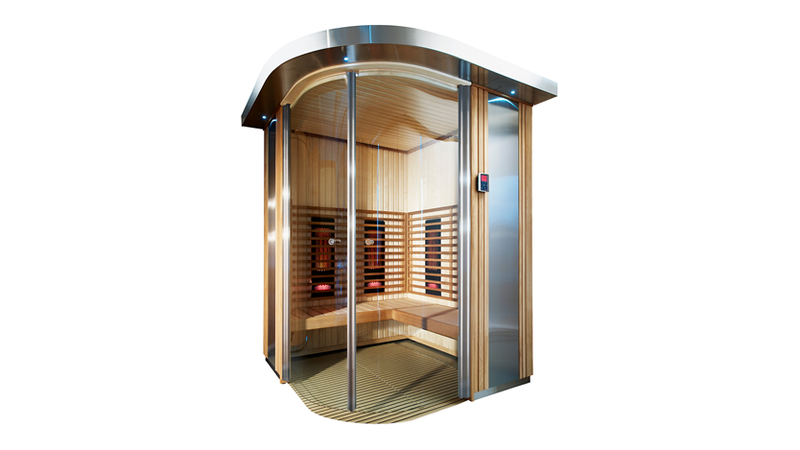 You can also use the hot water to create an extra steamy sauna experience as the heated water will evaporate much quicker allowing you to quickly increase the sauna humidity without cooling down the coals.